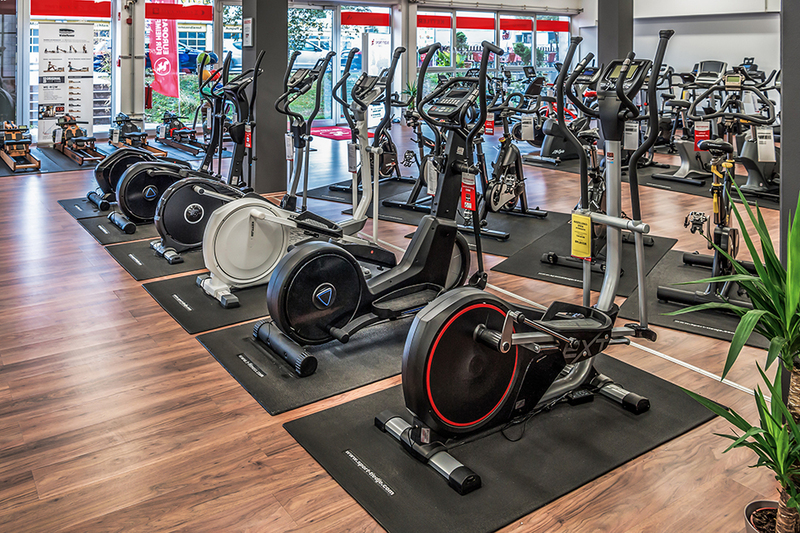 Visit our specialist fitness store with a showroom of 600m². Aktuell kommt es teilweise zu Telefoniestörungen. Bitte melden Sie sich sonst in unserer Zentrale 04621 42 10 0 Vielen Dank. 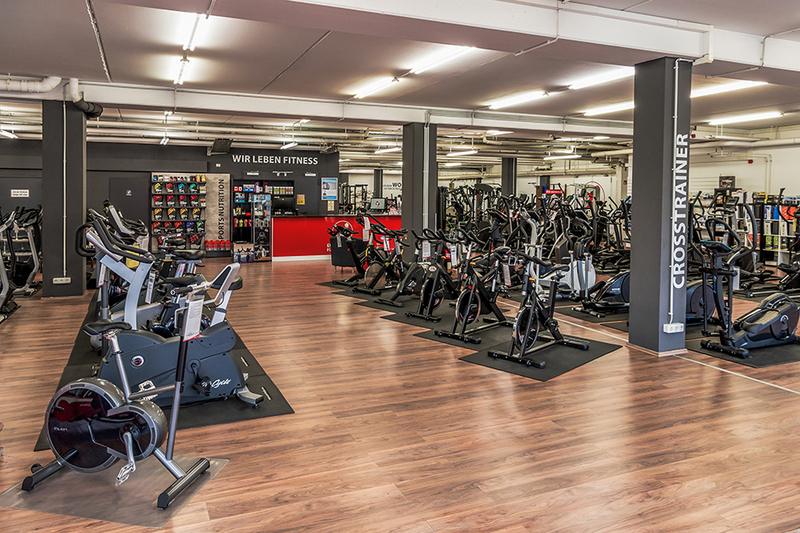 We are happy to welcome you to our specialist fitness store in Nuremberg, where you can test and try and buy a lot of different fitness equipment on a showroom space of 600 sqm. Buying a fitness equipment does not mean getting any piece of decoration, but an advanced sports equipment with which you wish to exercise for a long time and maybe you even have a certain target. Thus, it is even more important that you buy the fitness equipment in Nuremberg, which suits ideally to your requirements: your height, your training level as well as your sporty targets, and your living environment. 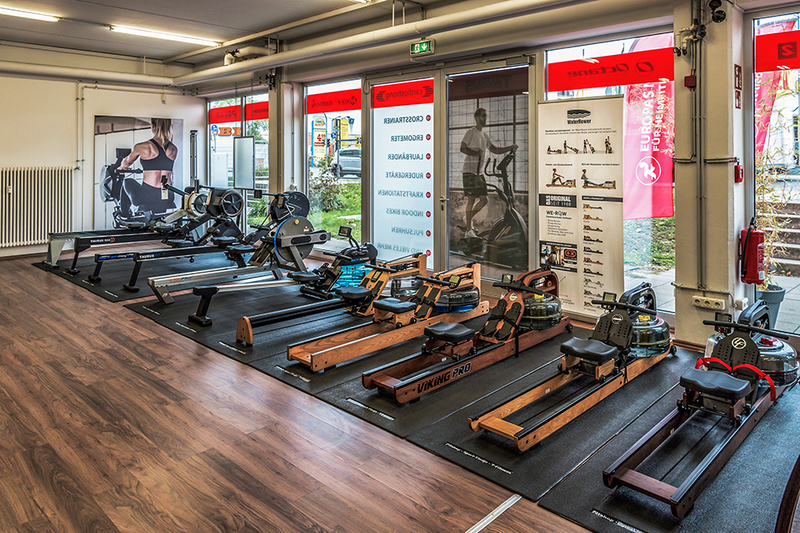 It is important that you buy a fitness equipment in Nuremberg, which makes you feel good - thus you are welcome to take the opportunity at our sports shop to test and try different equipment: either treadmill, weight bench, sling trainer or ergometer. Our sporty consultants are happy to present you our offer of fitness equipment and to help you to find the right selection. Have you nibbled too much of the tasty Nuremberg gingerbread throughout the winter, do you wish to have a biceps like Arnold Schwarzenegger before his political career or do you want to compete against your colleagues throughout the next city run? Then you should have a close look at the fitness equipment at our store in Nuremberg and use the friendly and competent advice of our team. No matter, which training target you have, we give you recommendations, which fitness equipment you should buy in Nuremberg to realize your targets as quick, as comfortable, and as successful as possible. We do not only want to make the purchase of fitness equipment as easy as possible for you, but we also make fitness as easy as possible for you. Besides the advice about the ideal sports equipment, we also offer you financing models or give you tips with regards to the upgrading equipment of your fitness facilities. You are welcome to buy the appropriate accessory for your fitness equipment in Nuremberg or be well advised by our spezialised fitness staff about appropriate nutritional supplements – it may also involve some tips regarding the taste. 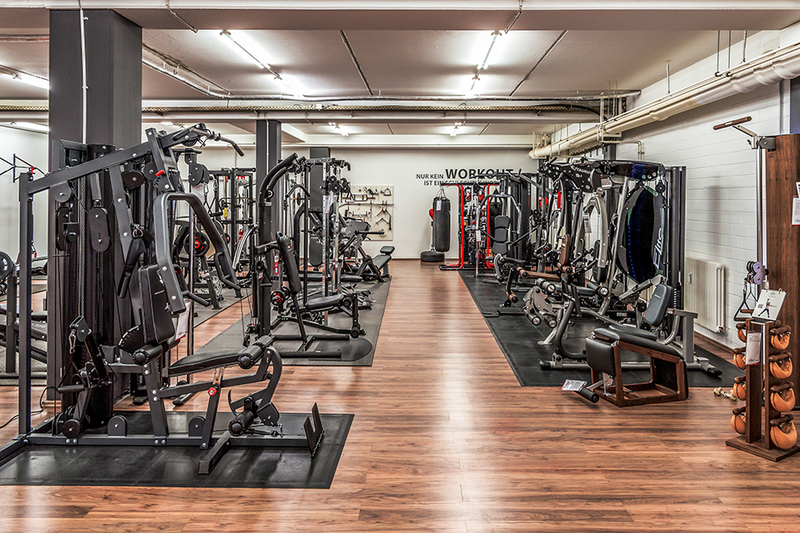 We are happy to welcome you to our specialist fitness store in Nuremberg soon.